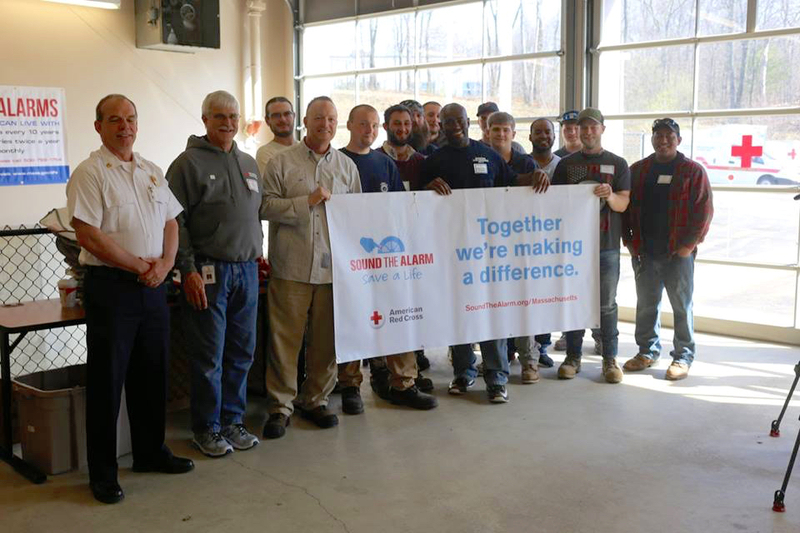 IBEW Local 96 apprentice electricians proudly participated in the American Red Cross, Central Massachusetts Chapter’s annual Sound the Alarm Save A Life fire safety and prevention campaign on Saturday, April 6th. Through the efforts of Local 96 and 80 total volunteers, the American Red Cross made 72 Worcester homes safer by installing battery operated smoke alarms and CO2 detectors, and providing fire safety eduction to occupants of homes throughout, as well as providing fire safety education to its occupants. All supplies and equipment used were provided through donations to the Red Cross. Red Cross Central MA volunteers will continue this project throughout the year in Worcester County. Next year the same weekend fire safety and prevention event will be held again, in partnership with the Worcester Fire Department. “All of the Local 96 apprentices did a terrific job, giving us a full six hours of effort,” said Roger Parent, Volunteer for American Red Cross. The IBEW apprentices will be receiving a letter appreciation from the Red Cross documenting their service. Local 96 apprentices participating in the fire safety event were: Jose Porter, Jeffrey Danso, Jr., Tye McQuilkin, Edward Hevy, Timothy Fournier, Adam Grzyb, Kevin Vigeant, Fran Henrickson, Timothy Powell, Uteenway Mulbah, Ben Heisler, and Sean Powers.